Take the guessing away from weeknight’s dinner with this warm and extremely delicious pasta bake. It’s filled with green goodness with a surprise kick of spice. Do you stress about ‘Weeknight Dinner’? Oh, I’m always stressing about it especially after all the weekend binging that we do hence I’m constantly thinking of eating more greens for the next few days. 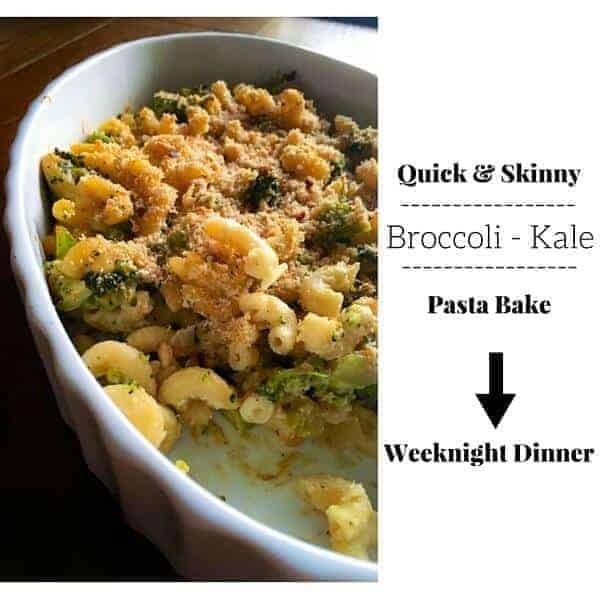 That’s exactly when this Skinny Broccoli Kale Pasta Bake – Weeknight Dinner comes to rescue and we must have made this recipe endless times !! Now, if you’re thinking what’s so new about this pasta bake, well first it’s a lighter version than our regular cheesy pasta bakes. Second, the sauce contains cashew powder which gives it a creamy and delicious flavor. Trust me ‘cashew powder’ is a magical thing, add it to whatever recipe you want (smoothies/ curry/bakes/). The cashew powder gives this rich creamy taste without adding many calories. Which I feel is truly Awesome! The best part is you can make the cashew powder at home. Just grind a handful of raw or roasted (saltless) cashews together and here you go. You are ready with a 100% natural ingredient that is super yum and you can pop it into an air-tight jar for later use too. 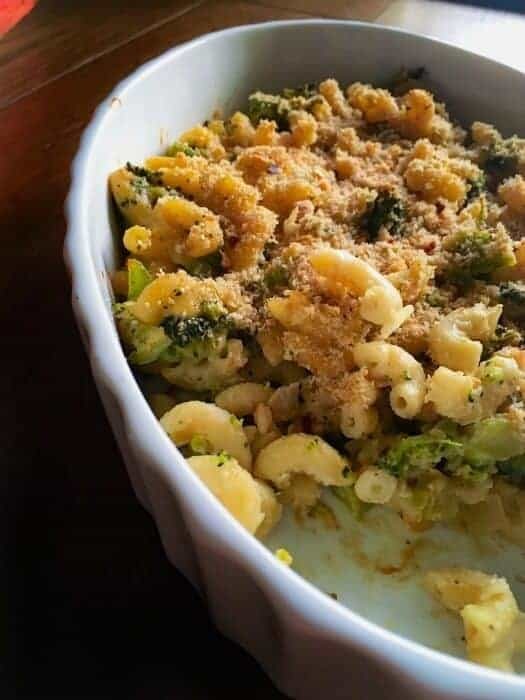 For this Skinny Broccoli Kale Pasta Bake, I made a lighter version of white sauce (also known as ‘roux’ in the culinary world) at home and it’s super simple. All I did was use half vegetable oil and half butter to make the sauce (which cuts down the calorie instead of using all butter). If you’are not a fan of kale or if it’s not easily available, you may use spinach or any other leafy vegetables of choice. 1. Boil the pasta, add some olive oil (so they don’t stick) and keep in an air-tight container in the fridge. 2. I saute the broccoli-kale mix a night before and keep in an air-tight jar. 3. Also, try making the white sauce beforehand (you can keep it for 2-3 days in the fridge). Now, if I’ve followed all the above steps, dinner becomes a breeze as all I’ve to do is mix everything together. 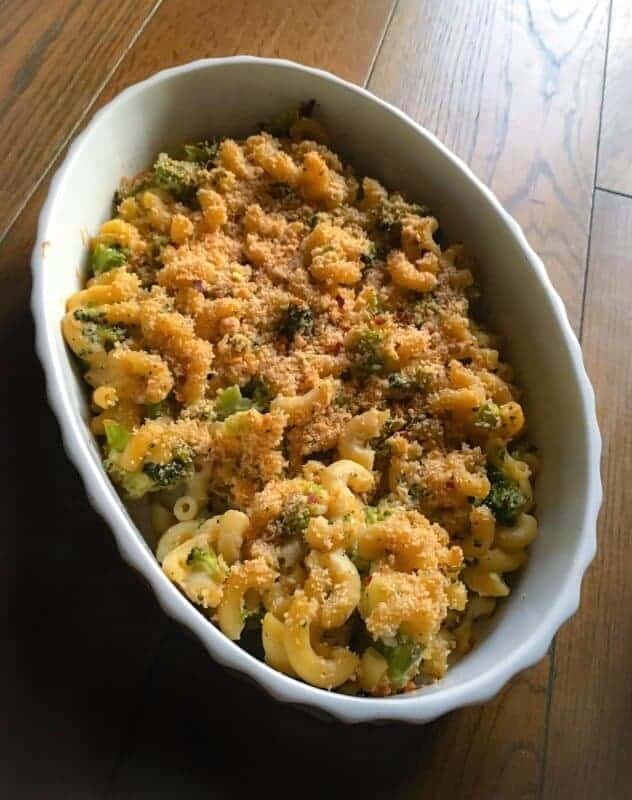 Sprinkle some homemade or store-bought bread crumbs (for that extra crunch and texture) and bake for 15 minutes at 190F. In those 15 minutes that the pasta is baking, you can take a quick shower/change or simply unwind. As your dinner is ready which includes delicious greens, nuts and packed with fantastic flavors. 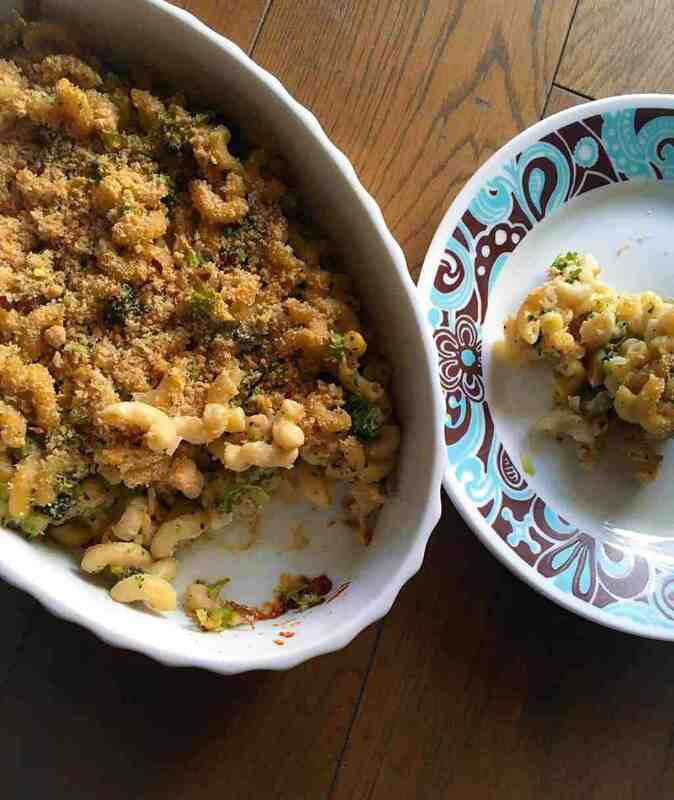 Give this Skinny Broccoli Kale Pasta Bake a try this week and enjoy with family. It’s filled with green goodness with a surprise kick of spice. Take the guessing away from weeknight’s dinner with this warm and extremely delicious pasta bake. In a non-stick pan, heat vegetable oil and butter together. Add the flour and saute over medium to light flame till the flour turns golden in color (take about 3 minutes). Add salt, pepper, water and saute everything to form a thick sauce. Heat 2 tbsp olive oil in a large pan. Add chopped onions and saute till golden in color. Now add, broccoli and saute for 2 minutes. Add the kale, salt, seasoning and saute for another minute (kale cooks really fasts). Now, add the cooked pasta and saute everything to mix the greens with pasta. Add the white sauce, cheese, chili flakes, cashew powder, saute and cook for 2 minutes. Transfer the cooked pasta and greens to a buttered baking tray. Sprinkle with bread crumbs and some cheese. Bake at 190F for 15 minutes. 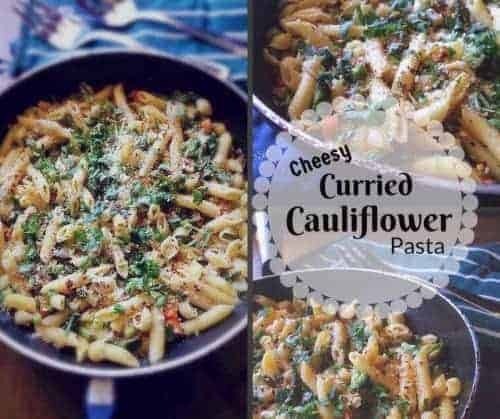 30 Replies to "Skinny Broccoli Kale Pasta Bake #kalepasta"
This pasta bake sounds really delicious. I love the added greens in it! I love the addition of the green veggies in here. I bet kids wouldn’t even notice – or picky adults. I’ll take it all! Hahhaha, that’s the fun part of this dish that no-one gets to know what we can sneak in it 😉 Thanks for visiting Kelly. This sounds wonderful! Have yet to add kale to any baked pasta dish. And cashew powder! Is that simply finely grounded cashews? This sounds lovely! I really wish we could do cashews in our home,,,it looks so tasty! This looks so good! I’m all about easy and quick meals that taste and look good. You nailed it! Yes, always stressing about it! This looks like a winner and my kids would love it too! This looks delicious! I love how quick the recipe is. Looks divine! I love using cashew milk because it adds a great creaminess but haven’t tried cashew powder! Great idea! Thanks Beth, you should try pasta with cashew powder next time, it just adds so much creamy texture! Looks delicious! Maybe I could get picky eaters to eat vegetables this way! ? That would be a great way to feed the picky eaters 😉 Thanks for visiting Lisa. This looks like the perfect one-dish healthy weeknight dinner. Love the cashew powder! I have a bag of cashews in my pantry so I’m definitely going to try it soon! Perfect weeknight dinner. Love the addition of cashew powder. Have pulsed nuts before to make a vegan Parmesan cheese but love the idea of just adding cashew powder to dishes for an even more flavorful meal! Yummed! Try this version, you’d love it Vicky – Thanks for visiting !! Always gotta add some kale! What a nice easy dinner!